Do your feet itch after wearing shoes all day? Are you experiencing cracking along your heel, the big toe, or the side of your foot? The human body is a natural wonder when it comes to its ability to improve personal durability, but as much as a callus can protect your feet from harm, it can also cause some pain and discomfort as well. The best foot callus remover reviews can help you find a product that can help you manage the comfort of your feet quite effectively. If you’re removing a foot callus, then you’ve got to be careful about how far you go down through the layers of dead skin. You want to remove the bothersome “growths,” but don’t want to hurt the growing skin underneath. That’s why you need a proven product to help you get the job done. The chart below lets you see some of the best options available in this category right now. It is important to understand that a foot callus remover is not the same as a callus shaver. Although the first step to prepare your feet is often the same, through the soaking of your skin in warm and soapy water, callus removers don’t use razor blades to literally cut off your dead skin. Removers use metal reducers that look like a cheese grater to lightly remove your skin and then a gritty section to sand down your skin so that it is smooth after the treatment. If you have diabetes or a circulatory health condition, you may be asked to use a foot callus remover under the care of a doctor. If you’re not sure, always seek the advice of your local doctor before using a product like this. Once your skin has been prepared for 10-20 minutes in warm water so the callus is soft, you’ll be ready to use the callus remover. You can check to see if the callus is ready because it will actually scrape off your foot with a fingernail. Then just lightly move the callus remover back and forth over the area you’d like to treat, making sure not to push too hard on the device so that your grind too far down into your skin. Manual callus removers and battery-operated ones both operate under the same premise. The automatic removers may be a little easier to use, but may not offer the same levels of control that manual removers allow. This is why the foot callus remover reviews are so important to the shopping process. The issue that many people have with their callus removal efforts is that they’re actually removing too much of the callus at one time. Your body creates a callus in the first place because it feels that there is a need to comfort and protect the body. Through repeated pressure and friction, the callus forms into a hard surface that protects your foot. When the callus is then removed, the body’s response is to rapidly create the hardened protective surface once again. This means you can build up a larger callus more quickly than the one you may have just removed. It is also why only a bothersome callus should be removed. The fast growing process of the callus is what leads to foot cracking and other painful conditions that are related to the callus. Cracks form because the solidification process is incomplete or more pressure than anticipated has been placed on the foot. The skin can heal, but you’ll need to use lotions and other skin elasticity products to encourage this process. Some of the best removers are just a skin file that you can use in the shower. Others are battery-operated masterpieces that can have your foot feeling smooth and awesome in a few minutes without requiring any prep work on your feet. To find the right model for you, you must consider is how the bothersome callus is being formed. Here are the most common reasons why people have uncomfortable calluses that they want to remove. Walking barefoot. Your foot will naturally develop thick calluses if you prefer to walk without shoes to prevent injuries from thorns, gravel, and other potential items that could cause harm. Tight shoes. If your shoes don’t fit your foot properly, then the surfaces will rub on your foot. This will create a callus in some unusual places, including the top of the foot, with prolonged wear. Gait issues. A bad knee or other injuries that change the way you walk can also change how calluses form on your foot. In this circumstance, you may need to visit with a podiatrist to discuss orthotic inserts in addition to callus removal at home. 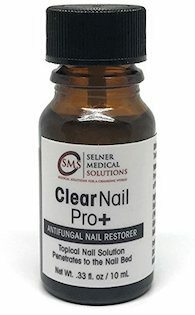 What Are the Prices of Callus Removers? Foot callus removers are one of the most affordable at-home treatment options you can purchase today. Many foot files can be found for less than $10 and can be used for 2-3 months on a regular basis when taking a bath or shower. The same is true for pumice stones and other manual callus removing options that you can find online today. If you want something a little more advanced, such as a battery-operated remover, then you can expect to pay $15-$40 for the right product. The reviews will take you through the specific features of each make and model so you can have confidence in your purchase. Other removers, such as liquids, essential oils, or salicylic acid products, fit into the price ranges described above. To be honest, liquid callus removers have never really been a top priority. Sitting in a hot bath or taking a leisurely shower with some light filing – that’s the way to go. Yet this callus eliminator does a great job for those times when a hot bath might not be available. It’s not a one-and-done type of system, but over time it can break down your callus in tough to reach spots. Don’t use it on a cracked heel and wear gloves when applying the product to your feet for best results. Give it a couple weeks and we think you’ll be as pleased and surprised as we were by the results achieved. Click here to check the price on Amazon. If you want an electric callus remover that can also double as a shaver, then this is the product for you. It works great on the cracked and hardened dead skin of the feet that may have seen more neglect than you’d care to admit. All of the tools you need to get rid of that bothersome callus are contained in this tool that is so easy to use, all you have to do is turn it on and apply it to your foot. You’re going to see results in seconds and you can run it continuously for up to 35 minutes if need be. We highly recommend this product. If you prefer more of a foot filing experience to your callus removal needs, then this is the best model on the market for you. It’s fast, effective, and it works great in wet or dry situations. The roller head on this file spins a full 360 degrees so you get the quick results you need. It’s really like giving yourself an almost effortless pedicure once you get the hang of this product. Since it doesn’t have blades on it like some other products in this category, you can have confidence with this product around the kids as well. After using it yourself, you’ll see why it’s a consistent #1 seller. This pedicure rasp is for those tough calluses on the back of your foot that never really seem to go away. You’ve got to be careful when using this rasp as it can leave lines or patterns in your skin, so use vertical, horizontal, and diagonal filing when working on one of those hardened places of dead skin along the back of your heel. Best used when the skin has been wet for a few minutes, you’ll find results are faster and more consistent with this rasp when compared to a pumice stone. It also doesn’t store the dead skin like other rasps, making sure you have a healthy callus removing experience. This micro-pedi system takes a little time to work, but all you’ve got to do is sit down and hold the machine in place. The 360 degree electric turning head will do the rest of the work for you. The motor is powerful enough to get the job done, while the dead skin is buffed gently away within seconds thanks to the sanding action of the spinner. The unique roller offers different surface options as well so you can receive the customized results your feet may require. It’s operates on just 2 AA batteries and is one of the few products accepted by the American Podiatric Medical Association in this category. The best foot callus remover will help to keep your feet from building up uncomfortable patches of dead skin. Cracked heels and other hardened skin problems can be a thing of the past with the right tool. Find your preferred option today and your feet will thank you with every use.